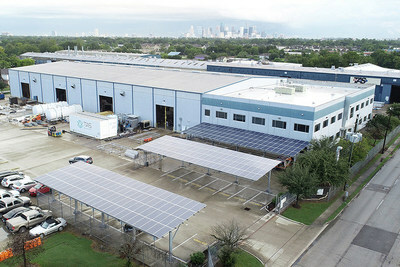 HOUSTON, Oct. 9, 2018 /PRNewswire/ -- As part of an ongoing sustainability effort, TAS is pleased to announce the completion of its new solar panel installation at its Cullen facility. The energy being produced can be stored in TAS' thermal energy storage tank associated with our Modular Solutions Lab which is used for R&D and houses a small colocation data center. TAS' focus on renewable energy and energy efficiency has resulted in TAS investing in the 100kw solar installation to offset power consumption related to modular data center product manufacturing, integrate the solar power into TAS' onsite colocation data center, and use on-site solar to study DC powered data center solutions. JT Grumski, CEO, "In addition to perating an onsite colo data center, we are excited at TAS to leverage our experience and expertise in energy efficiency and modular data center design to now include renewable energy generation." TAS Energy (TAS) is a global technology company that provides modular engineered products for data centers, power plants, and other industries. TAS specializes in high efficiency, standard product designs with a data center product portfolio that encompass the spectrum of solutions from high density, edge data centers to hyperscale and enterprise data infrastructure modules like modular cooling units and UPS Systems. Compared to typical field construction, TAS' factory packaging increases speed-to-market and substantially reduces project schedule, construction cost and risk.